One of our first trips family trips with baby Alessandra was to Las Vegas. 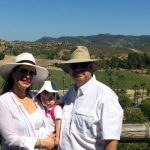 I was excited about the trip because I would get to spend time with my friend Rossy which lives in Las Vegas, plus a few days in Vegas is always fun (see another Las Vegas trip here)! 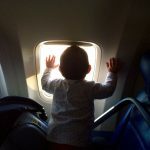 This was Alessandra’s first flight, so we were a little nervous about how she would react. She was great! The flight from San Diego to Las Vegas is a quick one, about an hour. I fed her on the take-off and landing, and she slept most of the way. Part of the fun about visiting Las Vegas is the variety of restaurants. We took a morning flight and landed just before lunch time. 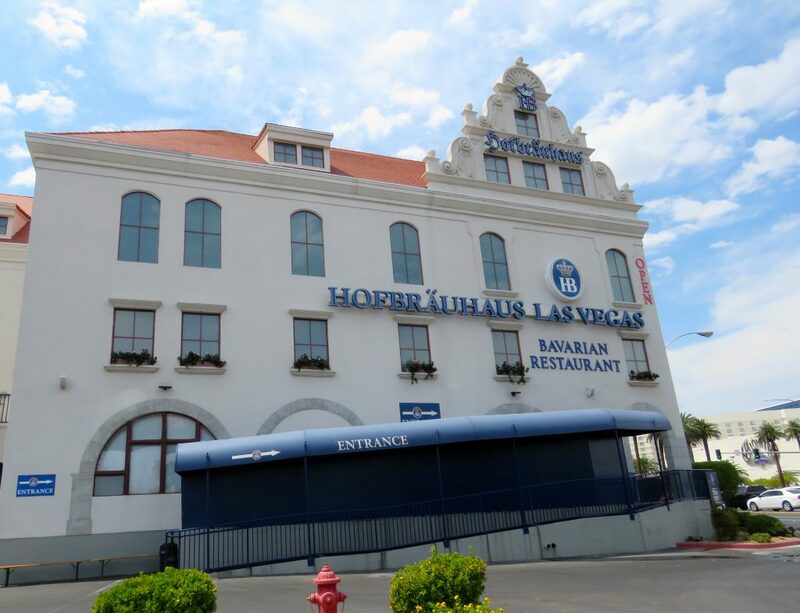 My husband is German-American and suggested we have lunch at Hofbrauhaus Las Vegas. 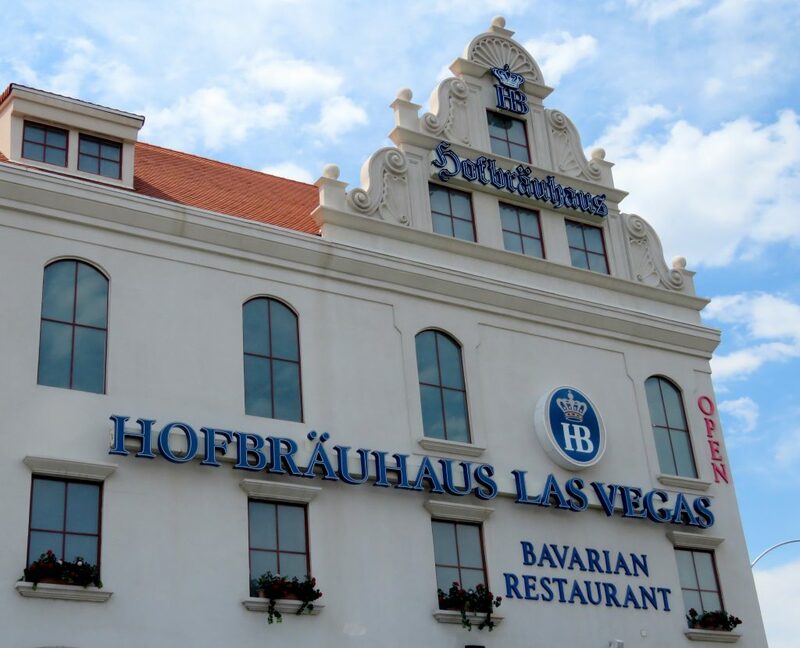 Hofbrauhaus in Las Vegas is themed after the Hofbrauhaus is Munich, Germany (one of Munich’s oldest breweries). 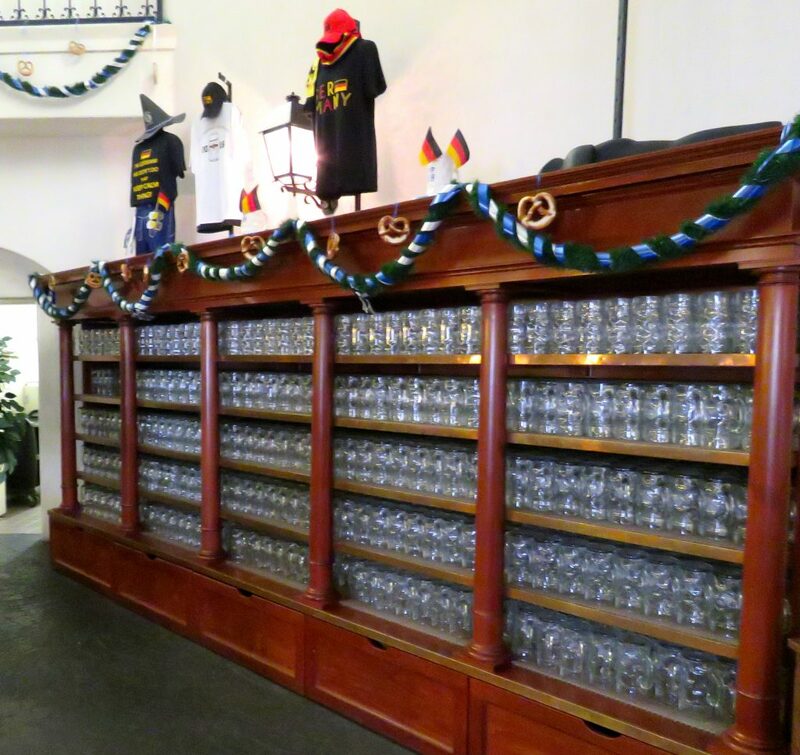 During one of my vacations to Europe (with my friend Charisse), before we were married, I visited the original Hofbrauhaus in Munich. It is huge and nice! My husband has also been to the original location. The restaurant in Las Vegas is quite similar! On one of our previous trips to Las Vegas, about four years ago, we went to dinner at this restaurant with Rossy and her husband. 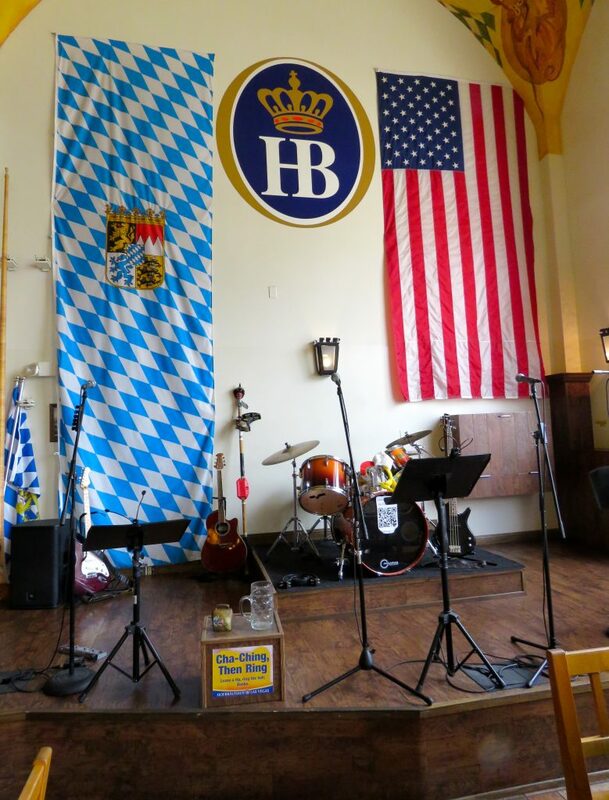 It was packed, festive, and there was a live Bavarian style band (see samples of the entertainment here). We had a fun evening! We visit Germany together at least once or twice per year (see pictures from our trips here & here). My husband goes several times per year. 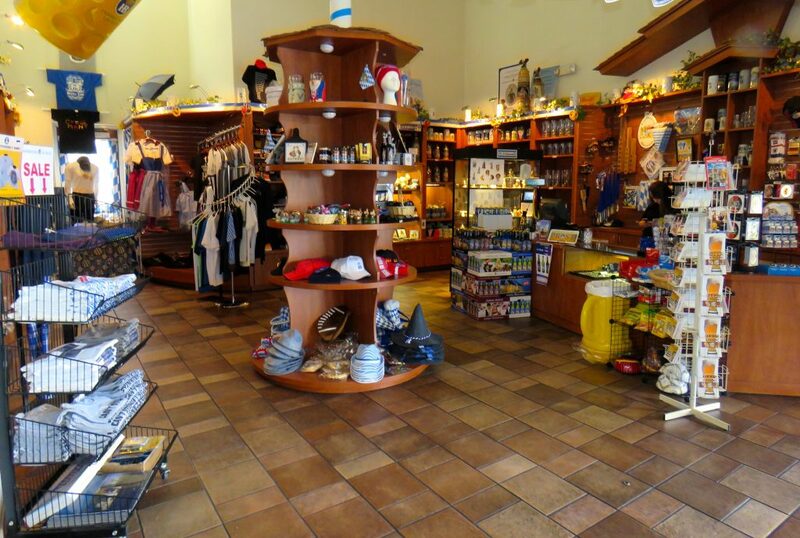 On our visits, he never wants to go to what he calls “folkloric” or “touristy” restaurants. I understand why, since he is German. We pretty much stay clear of pubs and places with beer gardens or crowds. 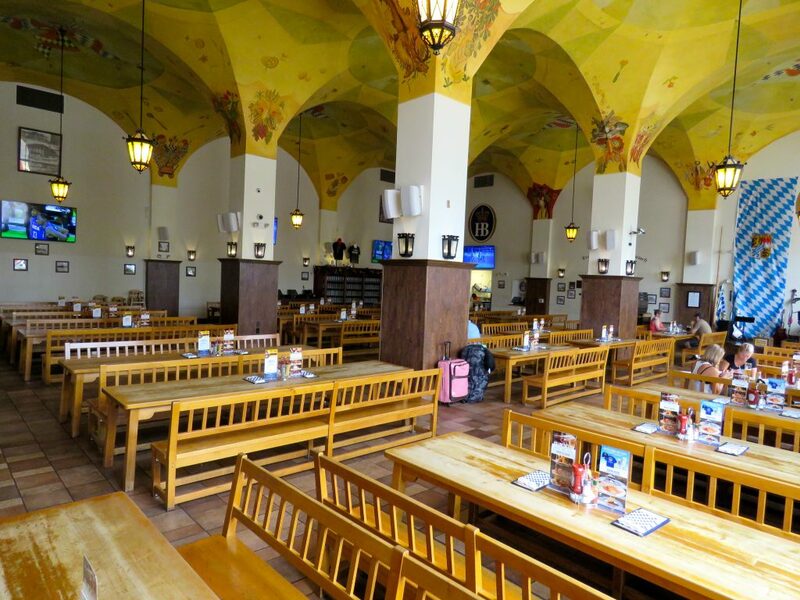 So, I was surprised when suggested we eat at Hofbrauhaus in Las Vegas. He wanted some German food and recalled the food was pretty authentic and tasty when we last visited. The ambiance is completely different at lunch time! They open right at lunch time and we were one of the first people to arrive. We pretty much had the entire restaurant to ourselves. Later, about three other groups of guests arrived. 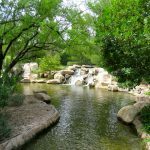 I decided to take a few pictures to share with you. According to my husband the German food is pretty authentic and good. I don’t really eat German food because I don’t eat much meat, pork, or sausages. But, I am a big fan of German pastries and baked pretzels! Yum! 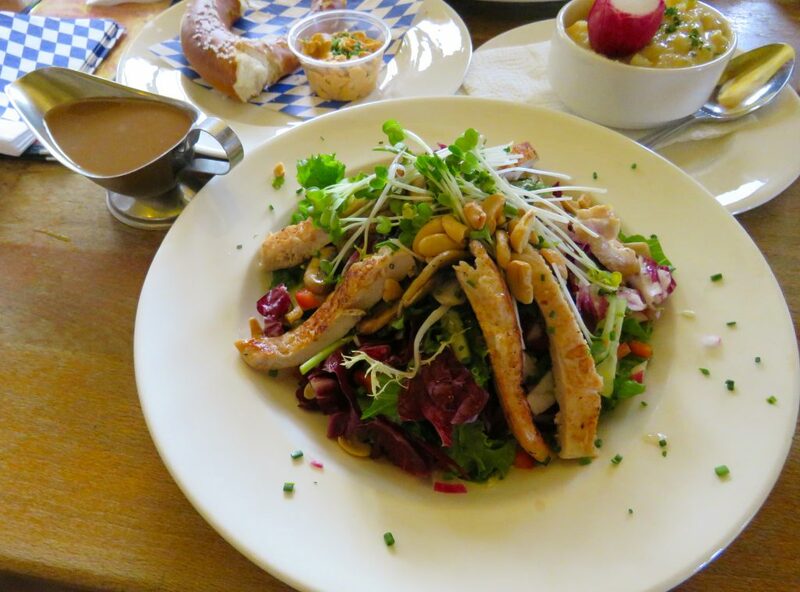 Most of the options on the menu are German entrees, but for my good fortune, they do have a limited option of salads. We ordered a pretzel as an appetizer, which I devoured in a few minutes! It was warm and so good! 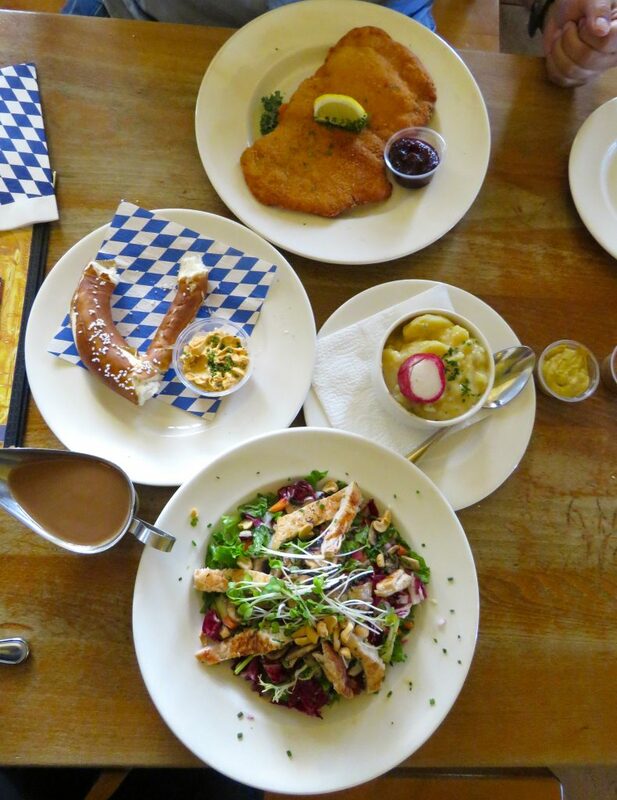 My husband had the schnitzel with potato salad and I had an Asian salad (with the dressing on the side, of course). I usually don’t order Asian salads, but the server recommended it. It was a good choice! We both enjoyed our meal and left feeling satisfied with our meal! 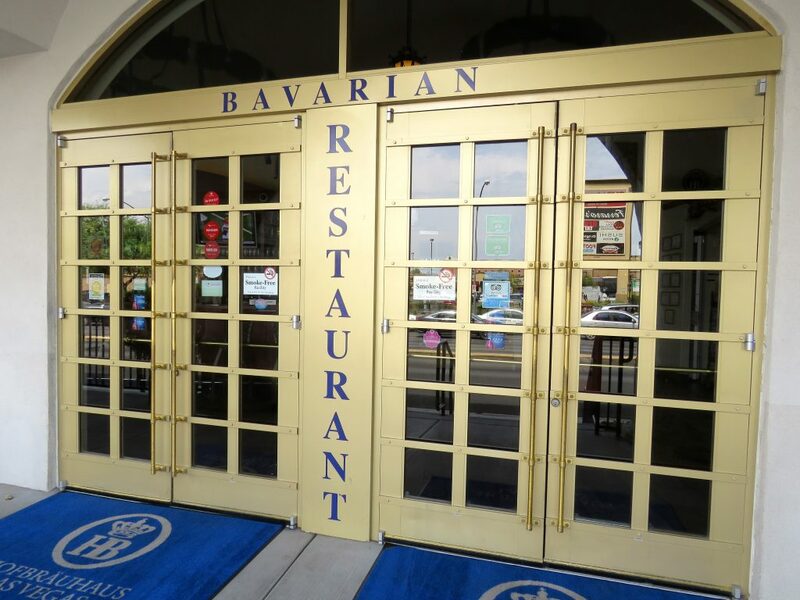 Next time you are on Las Vegas and want to have a good German meal or beer, I suggest visiting Hofbrauhaus. 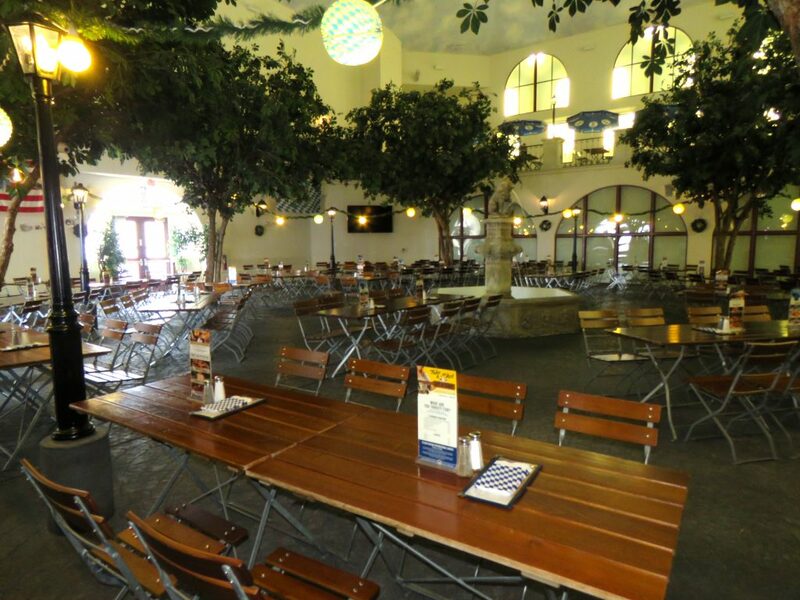 In addition to the restaurant, which has a large seating hall, there is a beer garden, bar, and gift shop. This was our first stop during our recent trip to Las Vegas. I’ll share more posts and pictures from our trip in the next few days. 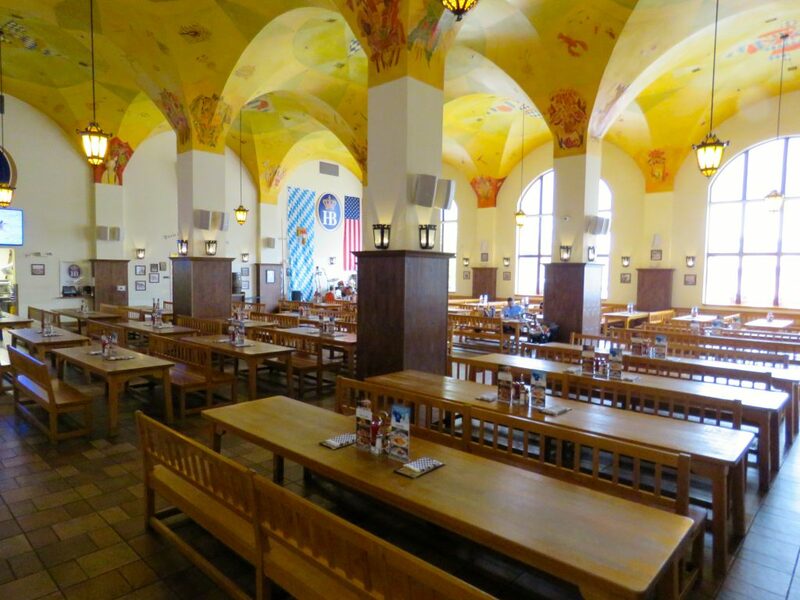 If you get an opportunity to visit Munich, I definitely recommend visiting the original Hofbrauhaus. It is a fun location! When Charisse and I visited it, the restaurant was packed and there was live music, and yes, it was a touristy and folkloric, but we were tourists and had fun! 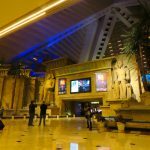 PS – Our Las Vegas ‘Babymoon” Getaway. 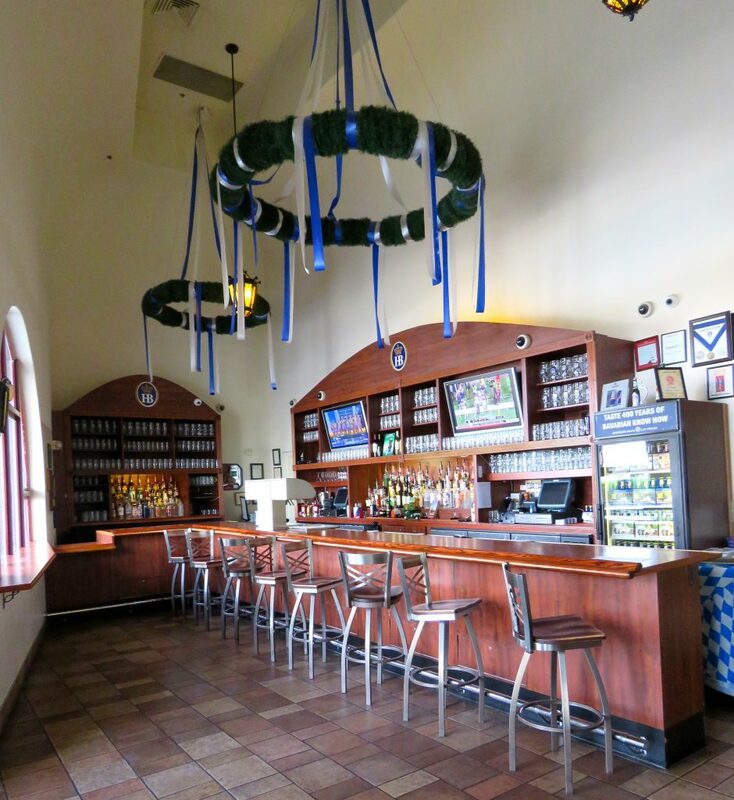 The bar is located to the right, at the main entrance. The dining hall is huge! At dinner time, when the restaurant is very busy, guests sit with other groups of people on the bench style tables. 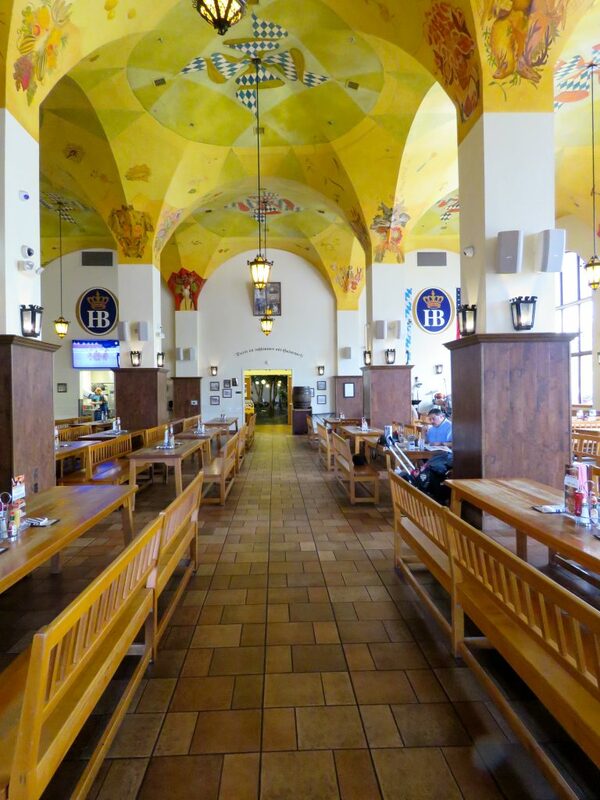 I was told by the server that the paintings on the ceiling are replicas of the original Hofbrauhaus in Munich. The stage where the bands perform. The beer garden (it is enclosed, not open air). In the hallway between the dining hall and beer garden, there are lots of pictures of famous people and politicians which have dined at the restaurant. 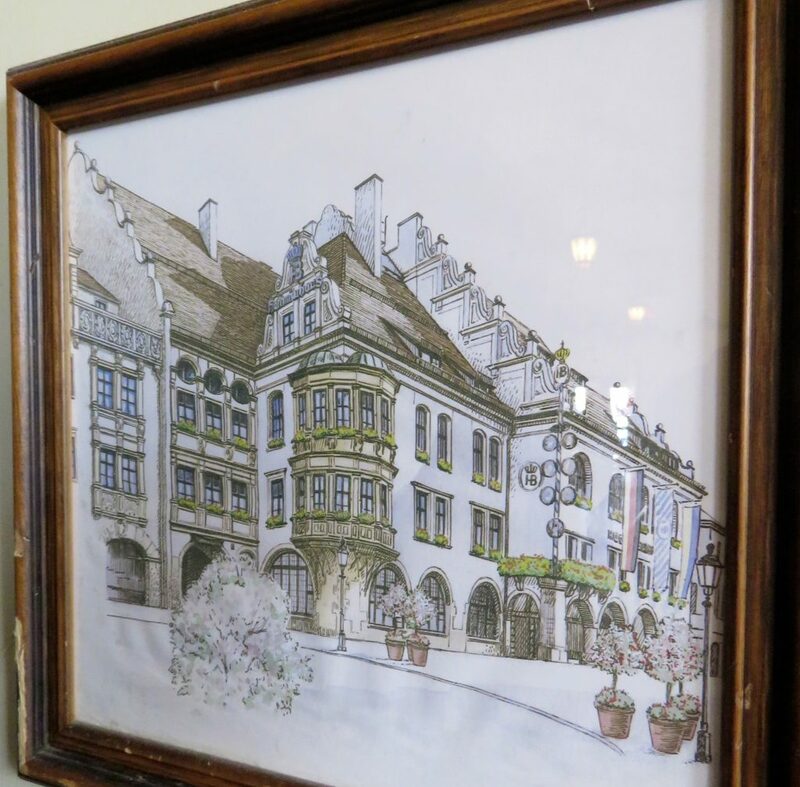 There is also a painting of the original Hofbrauhaus in Munich. Oops, we ate a piece of the giant pretzel before I was able to take this picture. 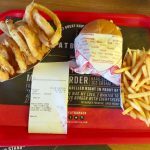 I’ll share a tip, you could also order a regular size pretzel for an individual person. This one is quite large, perfect for sharing. Also, if you don’t put mustard or cheese spread on your pretzel, make sure to order the plain pretzel and you can save a few dollars. 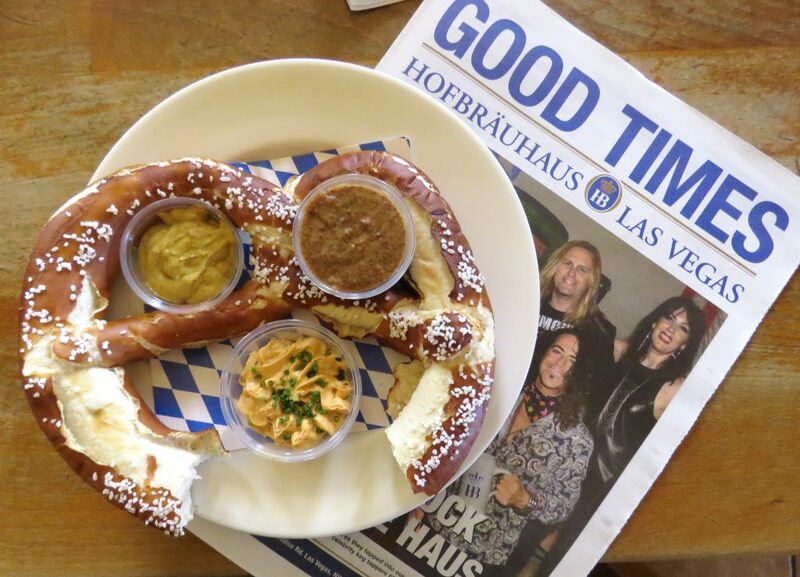 We didn’t clarify it and got the full order, and neither of us applied these spreads on the pretzel. My salad was fresh and tasty! 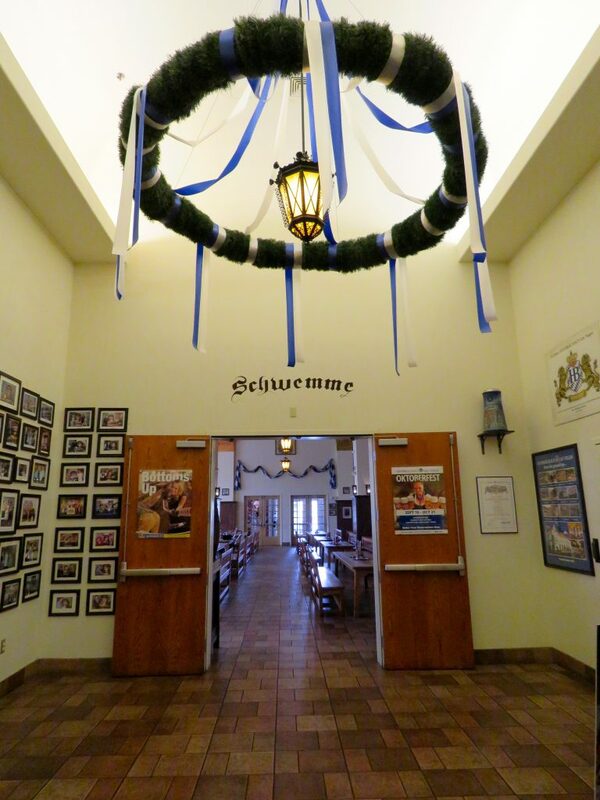 This entry was posted in Entertainment, Food, Lifestyle, Travel and tagged Entertainment, family, friends, Hofbrauhaus Las Vegas, Las Vegas, Restaurants, Travel by phjiao. Bookmark the permalink.